Hello and thank you for visiting my Favorite Pieces page! 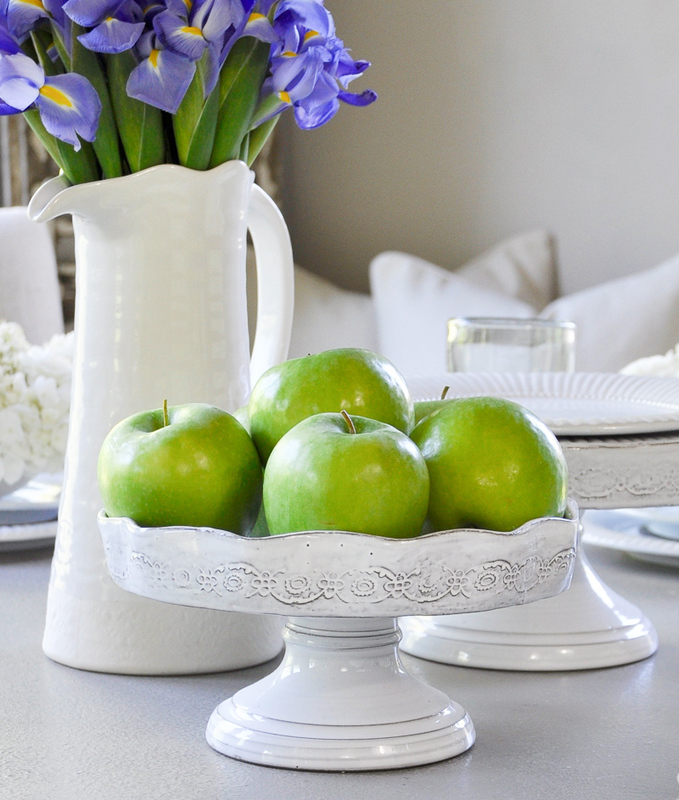 I will be sharing some of the most popular items from my home here, with frequent updates, so be sure to check back often! These are the piece YOU ask about most often. * This page contains affiliate links. Read our disclosure here. If you linked through by way of Instagram Stories, hello and welcome! Here are a few of the pieces you saw in my Stories today! This white bench is only $92!!! 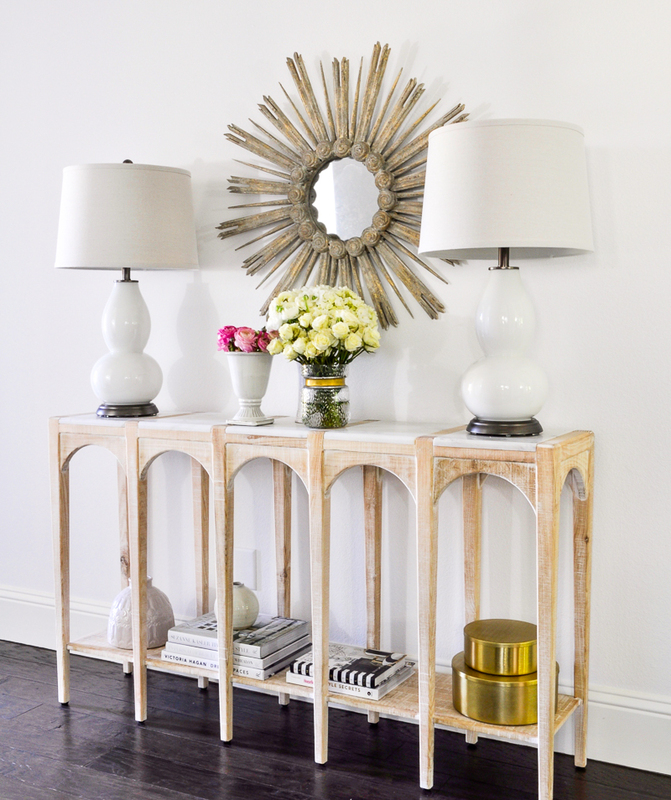 The console table from my entry can below. Very similar additional options can be found below. Click any of the product images to shop. 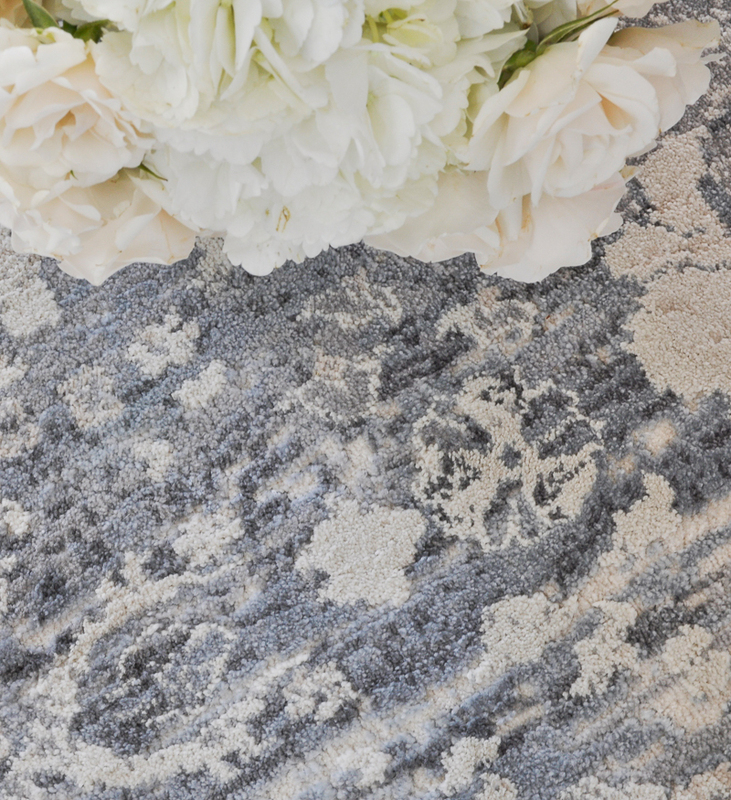 Lots of questions about our new dining room rug, which is 20% OFF! It looks exactly as pictured, very neutral from most angles and has beautiful details and a bit of color from above. Ours in the larger size. Here are some favorite art pieces and my new mirror. This bench is a fabulous piece. I have it in 2 colors and love it! 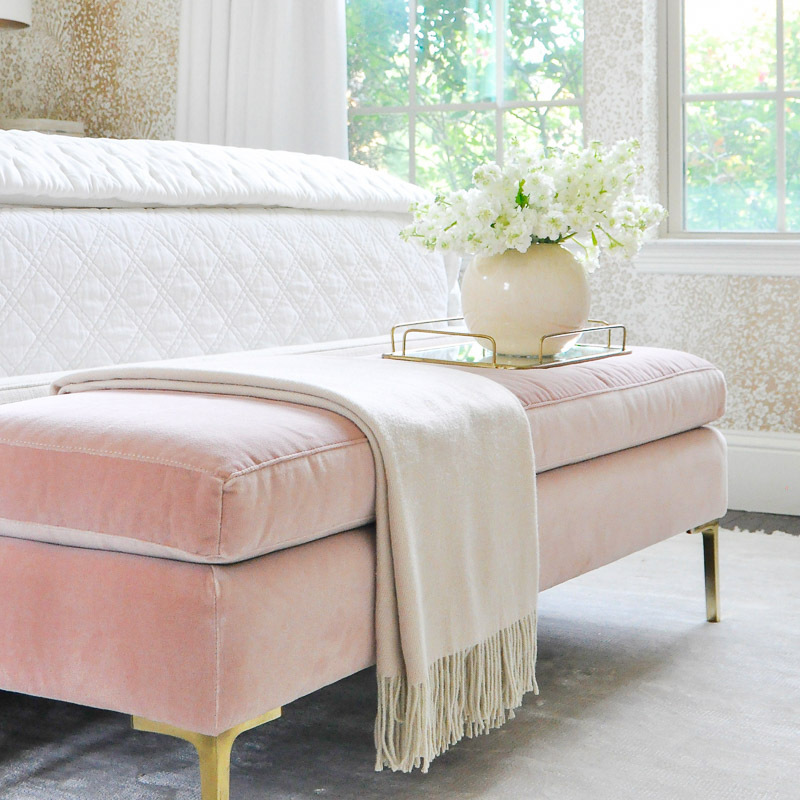 For the blush one from our guest room, select “Customize”, then “Velvet”, then “Rosewater”. The legs I have are “Brass”. Click HERE to shop. 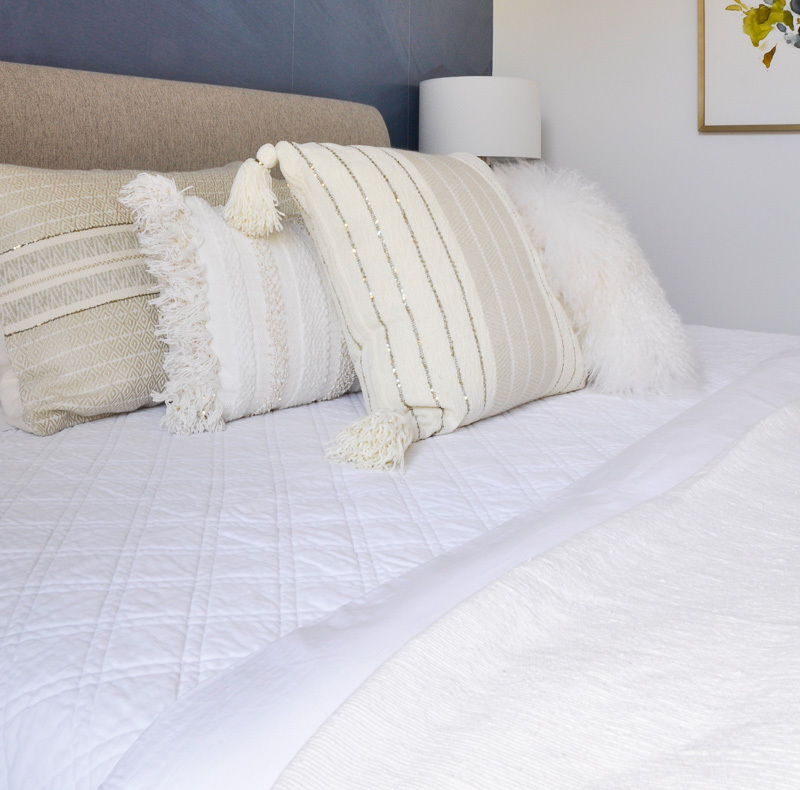 Our bed is one of our most frequently requested pieces. You can find a very similar one here. 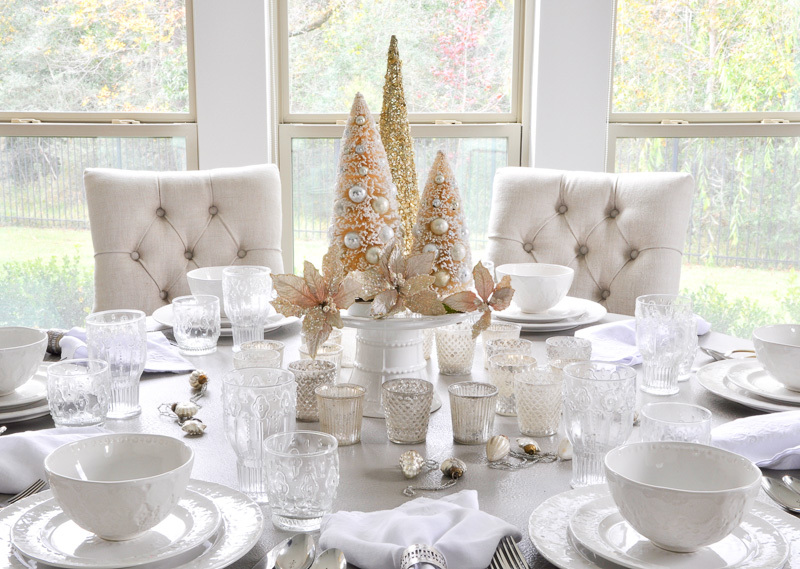 Be sure to select CUSTOMIZE, then light grey velvet and dove wood. 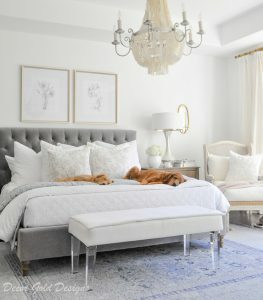 If you would like to see more of this room, please visit our Master Bedroom Update Reveal. 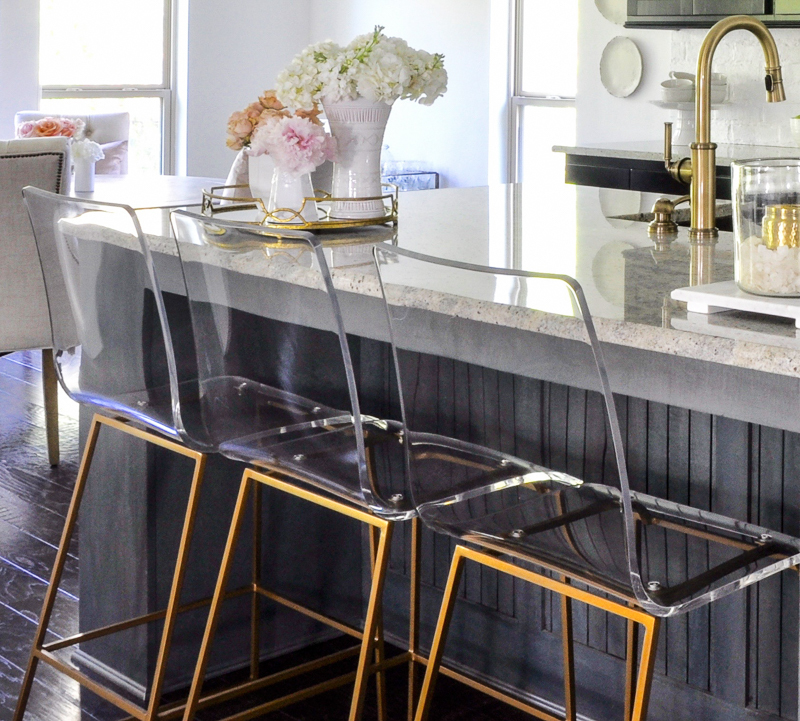 Thank you for all of the love on my new barstools! They are actually counter stools, but they come in a taller version and silver. I will link all options below. Additional images of our kitchen can be found in our recent Kitchen Update. Two of my most requested pieces are this bench (additional ones below) and the art. Once you click on the art link, use the dropdown on the art and select the largest size (I believe the width is 40″) and the slender brass frame. 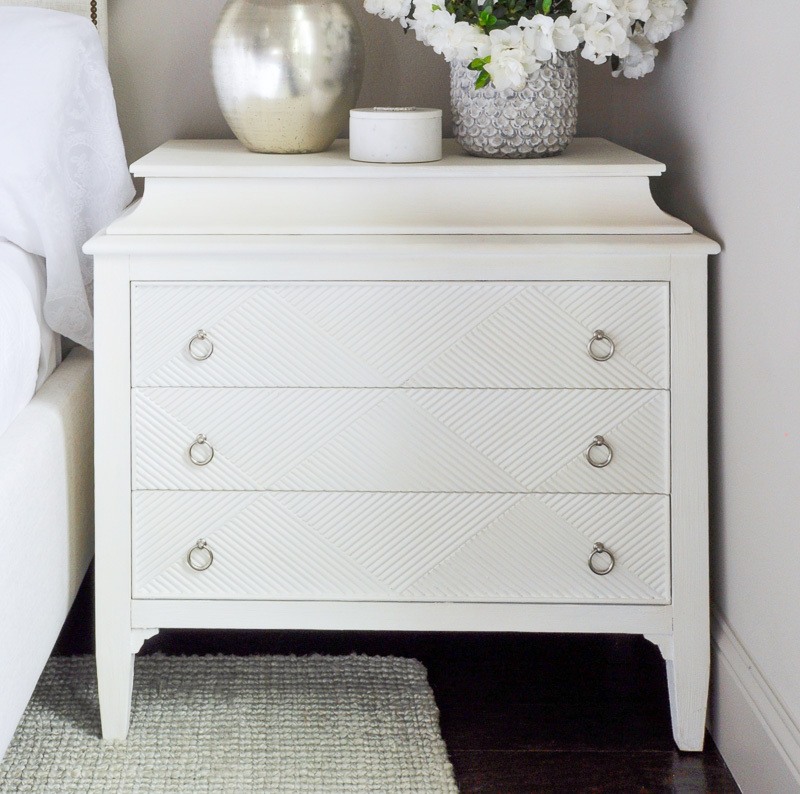 The most asked-about piece in our home, this nightstand! This cute new table now resides in our entry hall. Our living room rug can be found below. See the color below, but at most angles, it looks much lighter, almost off white. 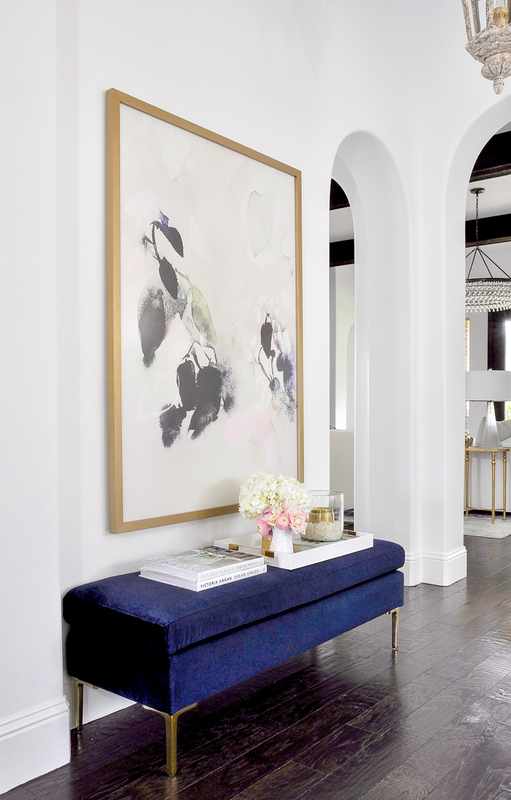 Don’t miss our full Living Room Makeover Reveal! 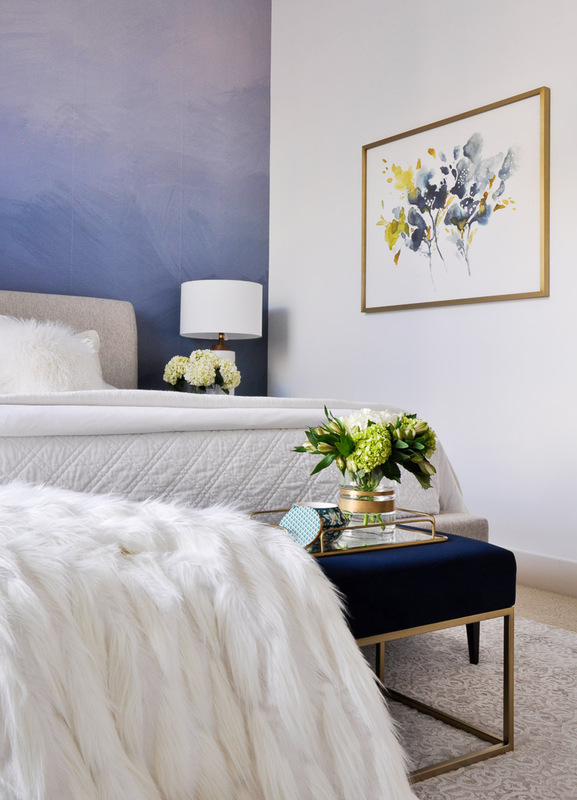 These favorite art pieces from our home can be found by clicking on the images. This blue velvet bench adds a wonderful pop of color! 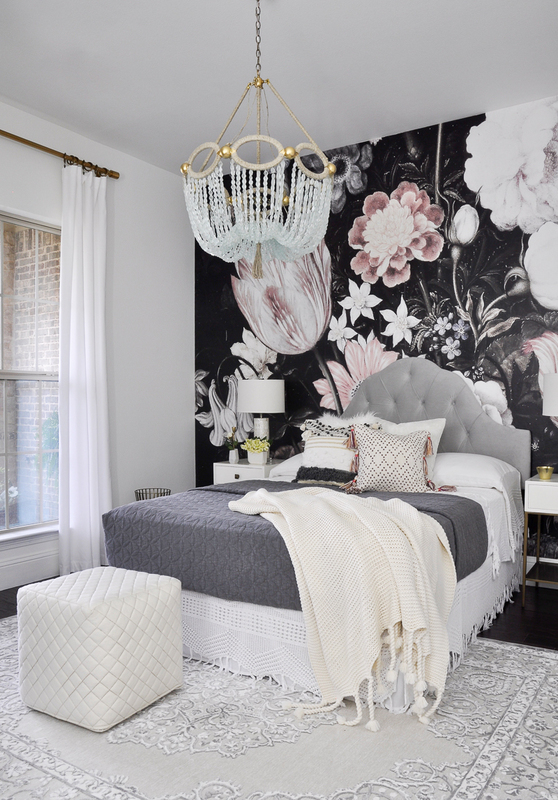 Tour our Colorado Bedroom for more. A consistently popular item, the rug from my first One Room Challenge. 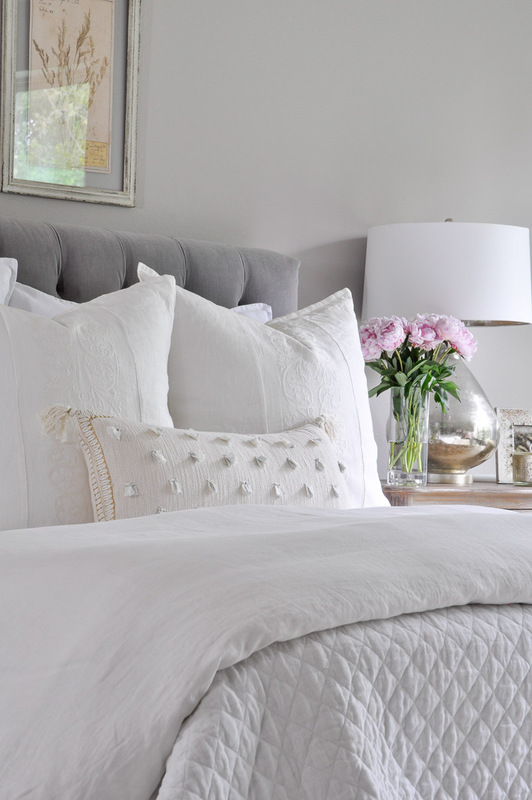 A few of my Anthropologie pillows can be seen below including this fabulous 14 x 40″ pillow which I used in our bedroom in Colorado. This popular pillow makes its way around my house. This dresser is a great new piece I recently found! Stay tuned for images from its new home!